When your company has optimal internal communications systems and practices in place it ensures that everyone in the organization is on the same page, working towards a common goal. Not only do you have greater efficiency, but your productivity and profitability increase, less mistakes are made, employees are happier and so, too, are your customers. Too often, companies either don’t make enough time to improve their internal communication, or they find it too difficult and give up. It doesn’t have to be that way. Committing to improving your internal communications processes is the first step - review where you are at, what you are currently doing (if anything at all) in the internal communications space, determine what you would like to achieve, and then work out how you can get there. Good internal communication is much more than just ensuring your employees have access to major corporate announcements - it’s about breaking down information silos and ensuring that there is an ongoing dialogue between management and employees. It’s also about building a good corporate culture where information sharing is seen as the norm and employees can expect to be kept up-to-date and included in an ongoing dialogue about the company they work for. The good news is, fixing internal communication problems may not be as difficult as you had imagined. Many organizations around the world, large and small, have successfully implemented DeskAlerts, an internal communications software solution, to solve many common issues they faced because of poor communication. 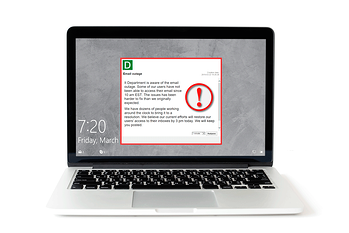 DeskAlerts works by sending intrusive pop-up notifications to your employees’ desktop screens which appear no matter what software programs or apps are in use at the time. The messages cannot be skipped or ignored and will appear even if the screen is locked, on standby or on screensaver mode. 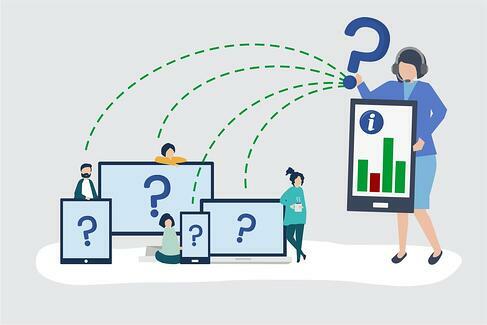 There are a raft of other features that help to reinforce your important messages, such as a scrolling news ticker, corporate screensaver, corporate wallpaper, surveys and polls, RSVP reminders and an app that pushes notifications to tablets and smart phones - whatever your internal communication needs are, DeskAlerts is sure to provide a solution to your problems. Every business is governed by policies, procedures, rules and legislation. Some of these are internal governance issues, and others must be adhered to or the company will find itself in serious legal trouble with external regulators. Ensuring your employees understand their responsibilities when it comes to policies and rules is critical - especially when policies and rules are new and will require staff to change the way that they work. You need to be clear in your communication spelling out what the changes are, why the changes are happening, what is expected of each employee in order to comply with the changes and what the consequences of non-compliance would be. For example, if new privacy laws come into effect in your country that change the way you ask for and retain personal data from your clients, you will need to overhaul your internal policies and procedures in order to comply with the changes to legislation. Failure to comply with this law may attract hefty penalties - either financial ones or criminal ones. In fact breaching the law could have such dire consequences for your organization that not only would you suffer financial losses, but reputational ones as well. It could be nothing short of a disaster and could cause the downfall of your entire company. Giving as much notice as possible about any new policy or rule changes can help to set expectations well in advance. Let your employees know that changes are coming and what it means for them and the way they do their jobs. As with any good communications, you should repeat your messages to be sure that the information is getting through. With DeskAlerts you can schedule notifications in advance to be sent to the entire company advising of any important changes. You can give plenty of advance notice, and then further reminders when you are getting closer to the date that changes are coming in to place. You can also send messages to niche audiences if you have changes that don’t affect the entire company. For example if there are new laws about taxes or financial reporting, the only team that may need to know about it and what to do is your accounts department - simply send the messages to these people only so you aren’t bothering the rest of the company with irrelevant communication. 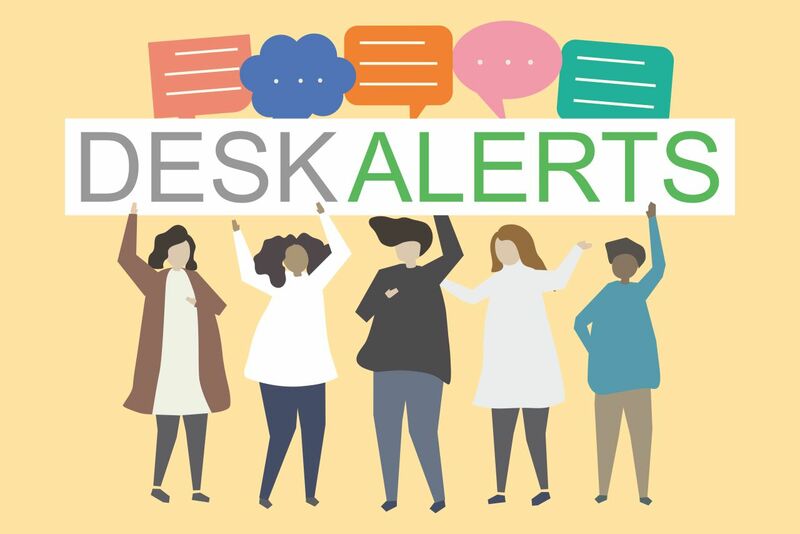 As well as sending pop-up alerts you can use some of the more passive features of DeskAlerts such as screensavers, tickers and wallpaper to keep the new changes as front-of-mind with a gentle, ongoing reminder. Did you know that as many as 70 per cent of the employees in your workforce may not be actively engaged in their jobs? This sobering statistic may come as a shock, particularly when you consider that these employees are not likely to be as profitable and productive as those who feel engaged with their roles. They may have low morale. They may make careless mistakes. They may display low levels of customer service. They may even be looking for new positions outside your company - and if they are successful they will take their valuable corporate knowledge with them, and cost you money to recruit and fill their positions. And they are unlikely to recommend the company to family and friends as either a place to do business with, or as an employer of choice. There are many reasons for employee engagement to be low within a company. It can be because of a poor workplace culture, toxic management, lack of work/life balance, poor remuneration, or work practices that feel unnecessarily punitive and bureaucratic. Quite often, however, poor internal communication is cited as a reason for low levels of employee engagement. Employees can feel as though they are isolated, don’t completely understand what is expected of them, don’t understand the company’s vision or goals, and don’t feel as though they have any say in their own destiny or the destiny of the company. 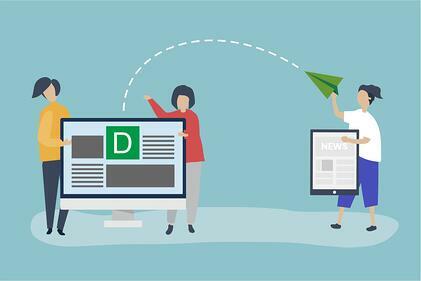 Improving internal communication using DeskAlerts is just the beginning - you can create a strategic internal communications campaign to send pop-up alerts, newsletters and tickers about important topics you want your employees to understand. However, one of the best tools in the DeskAlerts arsenal for improving employee engagement is the survey feature. You can quickly and easily push out surveys to every employee in your organisation to gather valuable feedback to determine their levels of engagement. You can ask them how they feel about certain aspects of their working life at the company and take this feedback on board to make improvements. After all, if you don’t ask the question, how can you know what may be broken and what you can fix? Benchmark your employees’ results by sending future surveys that ask the same questions so you can determine if there has been a measurable improvement in engagement levels. When you have new recruits join your company, it’s really important that you have a consistent onboarding process in place so that no matter where they are located or what job function they perform, they will understand the company and their role in it. In many companies, employee onboarding is patchy and ad hoc at best. One employee with a really engaged and committed manager may receive a thorough onboarding process that makes them feel like a welcome and valued member of the team - while down the hall another new recruit may have had the scantest of directives when they started and may be feeling as though they are lost, and have possibly made a big mistake joining your company. The difference in these scenarios can be like night and day: one employee who is enthusiastic and engaged, and another with low morale with deficient training who may make costly mistakes as a result. You may have tried to bring everything into line and make it more uniform with patchy success. Perhaps you’ve tried sending emails that get lost or ignored as people have too much to deal with in their inboxes? By using DeskAlerts to deliver onboarding and training, your human resources department can step into the fray and mandate that every new hire has the same onboarding training - and then relevant training that applies to their particular role. There are different ways this can be done. You can send pop-up alerts to direct employees to information that lives elsewhere, such as on your intranet site. Or you can embed video directly into the pop-up notification so that it plays on the employee’s screen. You can continue to send pop-ups targeted directly to the staff members who need to complete training until they have successfully done so. The DeskAlerts survey and quiz module can also be used in your training so you can determine if your employees have understood the educational material you have sent them. In the modern workplace there are many things that you need to communicate with your employees so they can stay in the loop and feel included. This can include corporate announcements, policy changes, information about training, information about networking events and opportunities, fundraising, social activities even birthdays and anniversaries. Inclusion in information helps to boost engagement and morale and helps to build a strong culture within an organization. Unfortunately, information overload and fatigue is a common problem in many workplaces. You may have tried in earnest to share information and knowledge with your employees, but they are so bombarded by information they don’t know where to look and they miss it. This is especially true when you have information spread out in too many places, for example on your corporate social networks, apps such as Teams, your intranet site, notice boards in staff areas and emails. Email overload is a big problem for many employees around the world - and many emails are never even opened because inboxes are stuffed full, with not enough time in the day to dedicate to email. Using one reliable channel for your internal communications needs can improve the awareness your employees have about these different aspects of corporate life. With DeskAlerts you can quickly and easily compile all your corporate news into a newsletter that is sent regularly straight to employees’ computers. Sometimes with corporate communications, it can feel as though you are flying blind - you can’t be completely sure if your efforts are having the intended consequences. 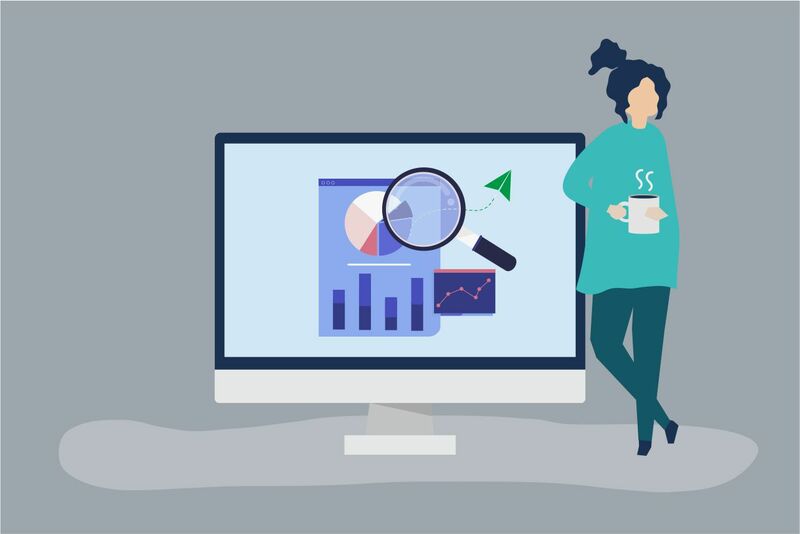 With DeskAlerts you can measure your communications and use the data to determine if you need to improve in the future. DeskAlerts has a powerful statistics module that lets you see, in real time, exactly which users have seen your communications, when they saw it and even what device they were using at the time they saw it. If you have users who have missed something, you can then target the message to those specific users until they have seen, acknowledged and acted on your communications. You can also generate a wide range of reports by using other features such as the survey, quizzes and RSVP tools as you use the software as a means to gather two-way feedback so you can determine what actions you need to take to make improvements to aspects of your company’s culture, policies and other practices. This powerful tool saves you time and money - there’s no need to invest in other software when your internal communications solution does it all for you. You can instantly get feedback on any issue that affects any department, allowing you to quickly make a decision - this might be the IT department, Human Resources, your communications team, finance and administration, production teams or management.